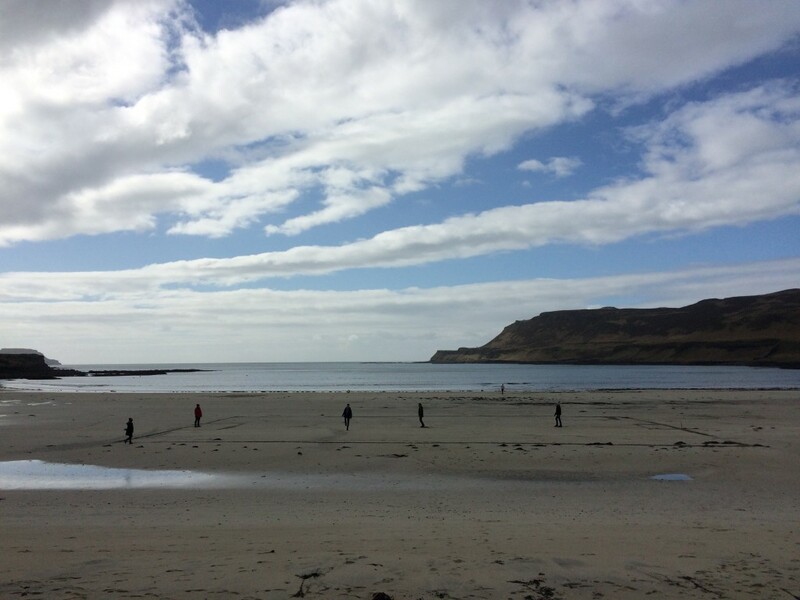 Mums and sons, dads and daughters: those were the teams who stepped out onto the white sands of Calgary Beach, Mull. The pitch markings soon became difficult to see as sand cascaded from boots, wellies and very occassionally, actual football trainers. A deliberate handball in the penalty area handed the D&Ds an early spot-kick; the youngest slotted home with consummate ease. From there the mums and sons (mostly the latter) dominated, taking the score to 3-1, and then 4-2. Florence, whose ball-foot coordination has been questioned this season, silenced sceptics by dispatching into an empty goal. A save reminiscent of Buffon's golden years was required to deny a late, late equaliser, though the comical nature of Sophie's slow-motion dive is what will really be remembered. 4-3 was the score at full-time as the tide began to wash its way in on a sun-kissed corner of Scotland. Post-match interviews were not filled with the usual rehashed cliches, but rather, 'Is it gin O'clock?'. The answer, however, was never really in doubt.